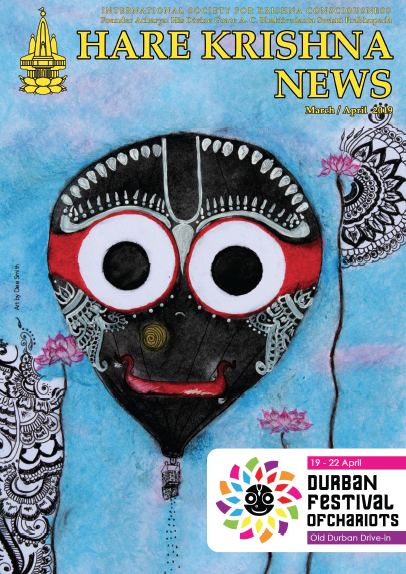 Appreciating the successful impact of last year’s social cohesion themed Festival of Chariots, the eThekwini Municipality approached me in November 2013 to consider hosting two festivals—the traditional Ratha-yatra Festival of Chariots in April and a social cohesion festival in September. We were glad to accept this proposal which would afford us much more scope to cater for the vastly different audiences and more opportunities to share the teachings of Srila Prabhupada. 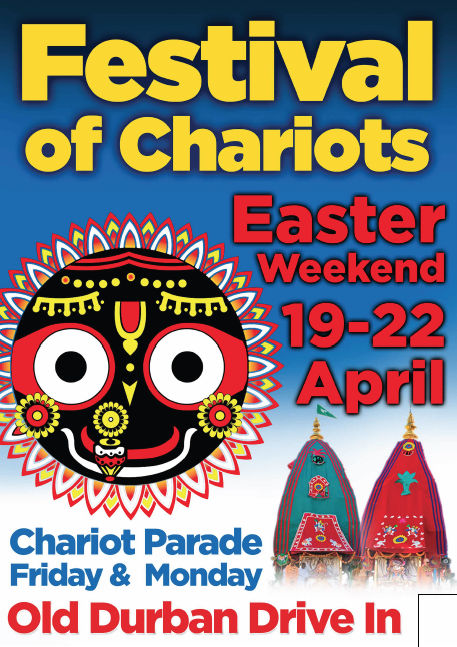 Another progressive development is that we have decided to merge the Phoenix Ratha-yatra into the Durban Festival of Chariots – there will be one major Festival of Chariots over the Easter weekend (18-21 April 2014) and will be held at the Old Durban Drive-In site. This festival will engage our resources from all over Durban, KwaZulu Natal, and South Africa under the leadership of His Holiness Indradyumna Swami. 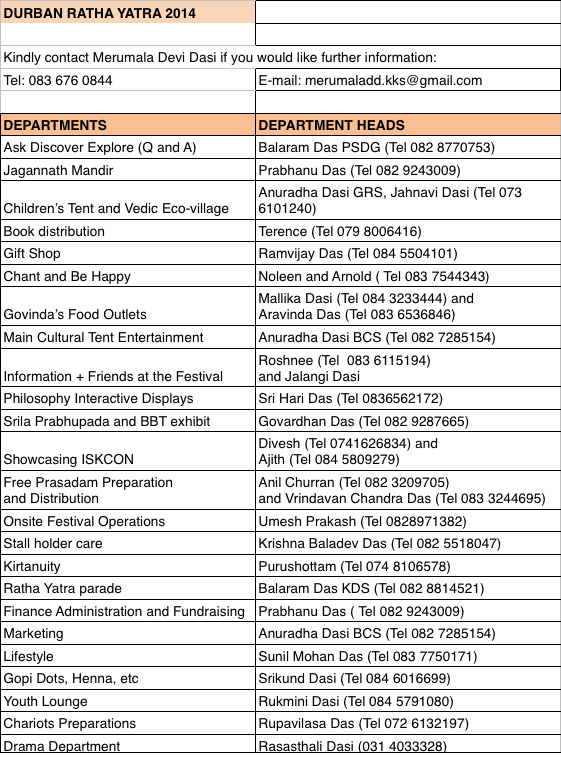 Although there will no longer be a separate Phoenix Ratha-yatra, the organizers of both festivals are excited to consolidate their efforts to make a bigger impact in spreading the mercy of Lord Jagannath. 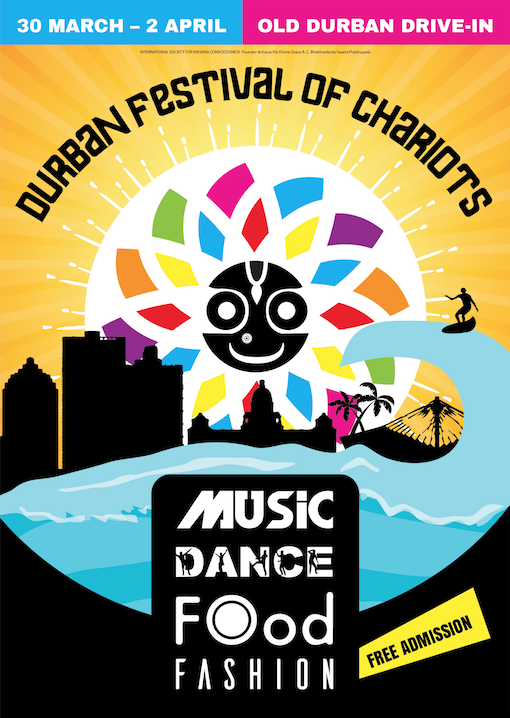 We look forward to your inspired and enthusiastic participation in the preparation of the Durban Festival of Chariots. Special evening programme to honour the greatest of Vaishnavas – Lord Shiva. Sri Sri Radha Radhanath Temple at 7pm. Subscribers to Back to Godhead magazine can expect the magazine in the mail later this week.